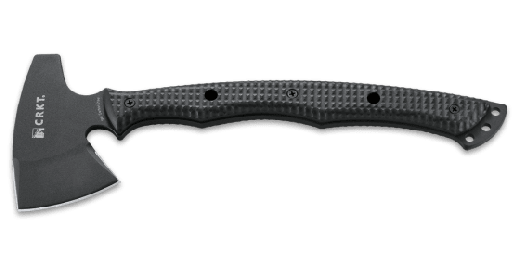 The Birler™ tactical pack axe is light enough to cut down on pack weight, yet it’s still burly enough to get everything you need done on a mission. Elmer Roush of Brasstown, North Carolina knows a thing or two about axes and life in the battle theater. He spent a fair bit of time in Vietnam. Forged to keep you from being SOL in a FOB. The Birler™ tactical pack axe is light enough to cut down on pack weight, yet it’s still burly enough to get everything you need done on a mission. Elmer Roush of Brasstown, North Carolina knows a thing or two about axes and life in the battle theater. He spent a fair bit of time in Vietnam. Today, in the Forged By War® program, he’s applying his 40 years of blacksmith experience as well as techniques from thousands of years ago to create exceptional tools such as the Birler™. 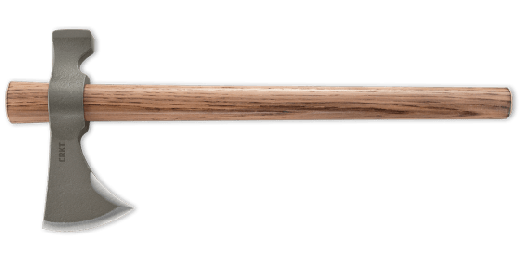 This is an axe that won’t go AWOL on you when you need to break down doors, build floors and take down tall trees to rescue a fellow soldier. 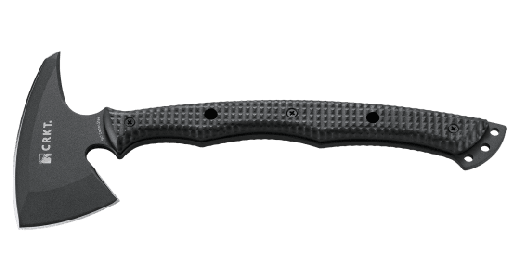 The blade is forged from 1055 carbon steel and is virtually indestructible. Just like those who use it. 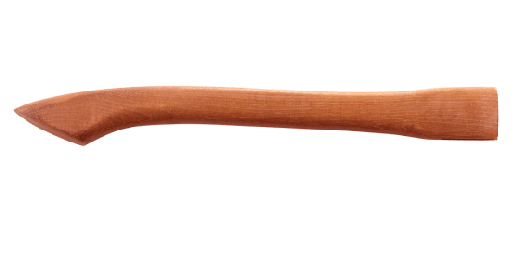 The sturdy Tennessee hickory handle ensures that the Birler™ won’t fold on you when the fighting gets tough. 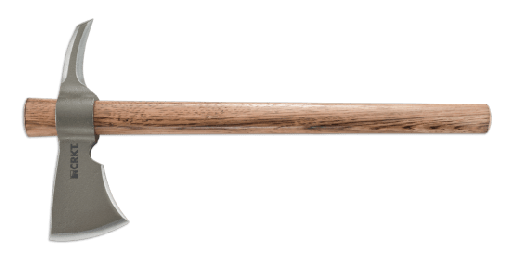 Looking at the Birler™ you’d be amazed that it’s such a heavy weight when it comes to work, yet such a lightweight when it comes to carrying it into battle. If you’re fighting to reduce every ounce as you head into battle, carry the Birler™ in your hand. For information on how to replace the handle to your Birler™ click here. 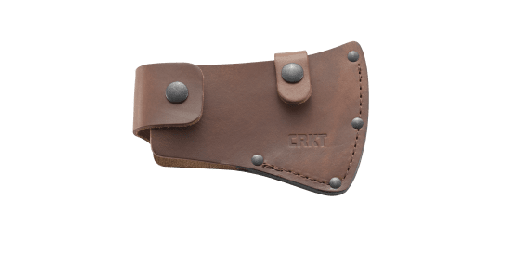 In 2013, Ryan Johnson of RMJ Tactical, designer of elite, military, tactical tomahawks, approached CRKT® with the news that he had been working with a few combat veterans that had returned from war with varying degrees of post-traumatic stress (PTS). To help work through their challenges, they have been designing and forging steel into custom tools. Drawing from their experience earned in combat situations, they have been creating tools they wished they had available to them in the battlefield. CRKT® cares deeply about our returning veterans and we saw a way to give back to the community that created them. In 2016, we launched the Forged By War® program. These are mission ready tools, designed by veterans, with a portion of the proceeds donated to the veterans' charity of choice. Mission ready tools that are Forged By War®. Learn more here. Elmer Roush's charity of choice for this tool is the Green Beret Foundation. *Although we know the temptation is great, we do not advise throwing this specific tool for safety and potential void of warranty reasons. Elmer has spent his fair share of time on the battlefield. But these days, what really gives him excitement is battling hot steel with a hammer as a blacksmith. 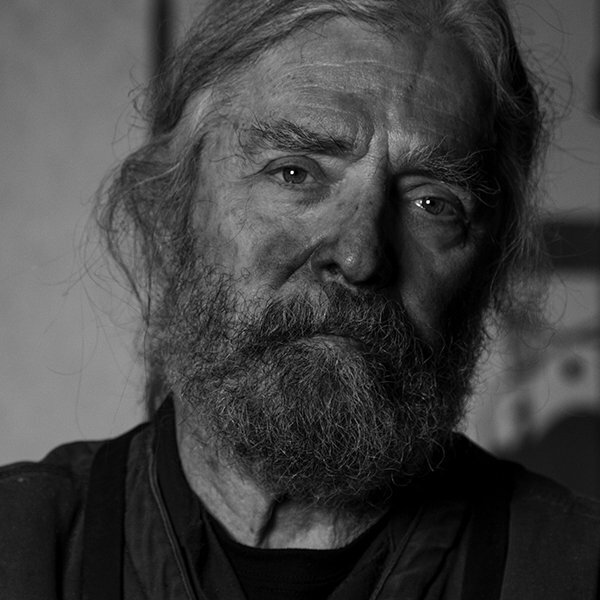 He enjoys hand forging functional edged tools and brings over 40 years of experience to the Forged By War™ program. Axes, froes, hatchets, and historical replicas, such as Viking axes, are his specialty. Though his designs look modern, they’re actually based on tools and implements that go back thousands of years.